Pakistan's army has called for the Supreme Court to launch an investigation into claims made by a high court judge pertaining to the country's spy agency interfering in judiciary affairs. 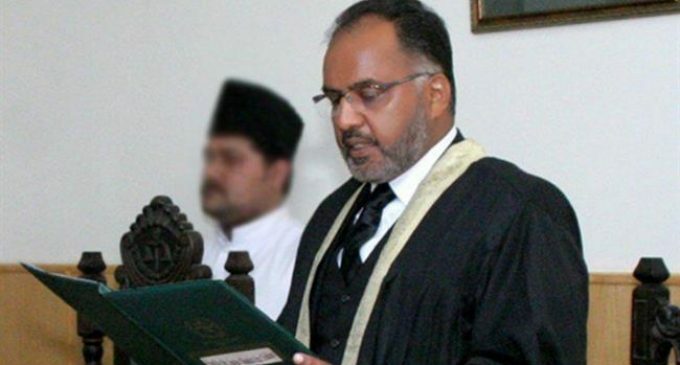 On Sunday, the Pakistani military released a statement calling for the initiation of appropriate process to ascertain the authenticity of the allegations leveled by Justice Islamabad High Court judge Shaukat Aziz Siddiqui at the Inter-Services Intelligence (ISI). “In order to safeguard the sanctity and credibility of the state institutions, Honorable Supreme Court of Pakistan has been requested to initiate appropriate process to ascertain the veracity of the allegations and take actions accordingly,” added the ISI's public relations. Chief Justice Saqib Nisar responded to Siddiqui's remarks by calling on the Pakistan Electronic Media Regulatory Authority (PEMRA) to present the complete record of his remarks. On Saturday, Siddiqui said that the ISI had manipulated judicial proceedings in several cases, such as the ouster of premier Nawaz Sharif. Sharif and his daughter Maryam were arrested upon arrival in Pakistan on July 13. Siddiqui also claimed that the ISI had offered him the position of chief justice of the Islamabad High Court. On Wednesday, Siddiqui chided the ISI and police over alleged forced abductions, accusing the security apparatus of breaking the law. Pakistan is one of the countries in the world that has a high rate of enforced disappearances. Pakistan’s security establishment has been frequently accused of overseeing enforced disappearances to quell criticism from activists and media workers. They have increasingly targeted activists and journalists critical of the state and the military's policies. The military routinely denies being involved. Pakistani security agencies have repeatedly denied they have forcibly sequestered, tortured and killed people in the name of counterterrorism. Despite the fact that forced disappearances have been a pressing issue in Pakistan, the number of people who have been abducted and their whereabouts are still not known and widely disputed. In 2015, the Supreme Court of Pakistan issued an order demanding that authorities produce a report on the number of missing people in Pakistan.